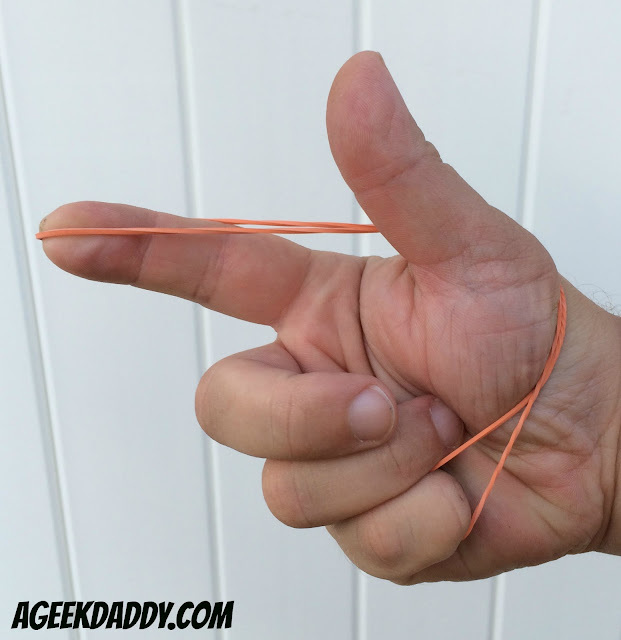 Being able to be the most accurate at flicking a rubber band the longest distance with the hardest impact at each other and various targets around the class room was an ongoing challenge among my friends when I was a kid in school. Back in those days launching a rubber band was all about the various styles of flinging it from your hand. The rubber band launcher has evolved for a new generation with the Precision RBS [Rubber Band System] from Super Impulse. The Precision RBS allows today's kids to launch rubber bands further and with more precision than you could ever do with your hand. 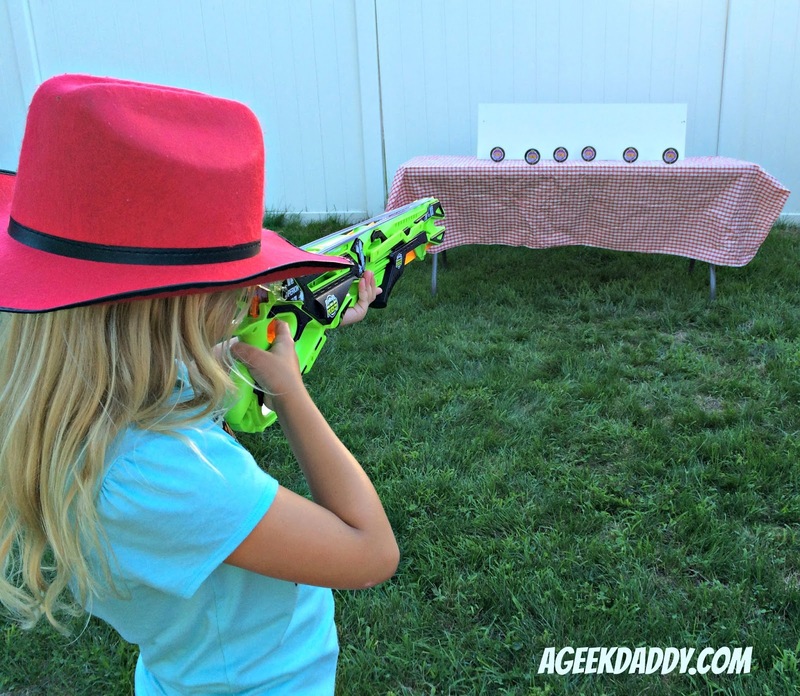 We put the Precision RBS to the test with a target shooting competition between my son, daughter and I in the backyard. 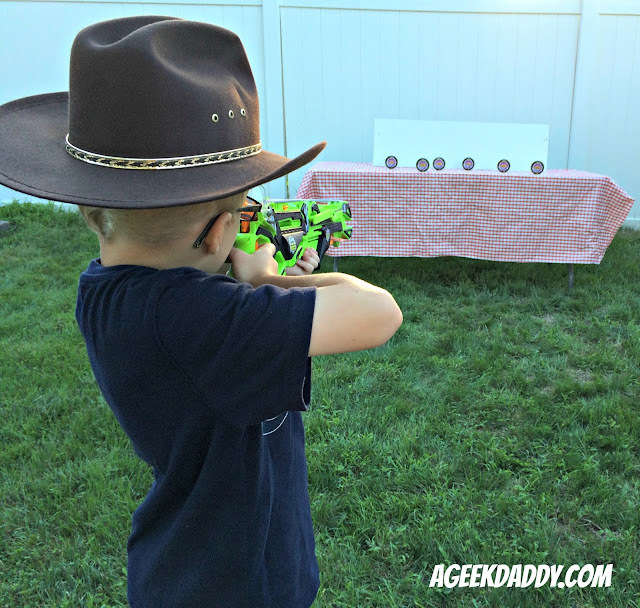 Taking aim from 12 feet away at the cardboard targets that came with the HYPERION Precision Rubber Band Systems, that Super Impulse sent our family to try out, we challenged each other to see who could tally the highest score. The pressure was on this dad not to get usurped by his kids in this rubber band launching competition. 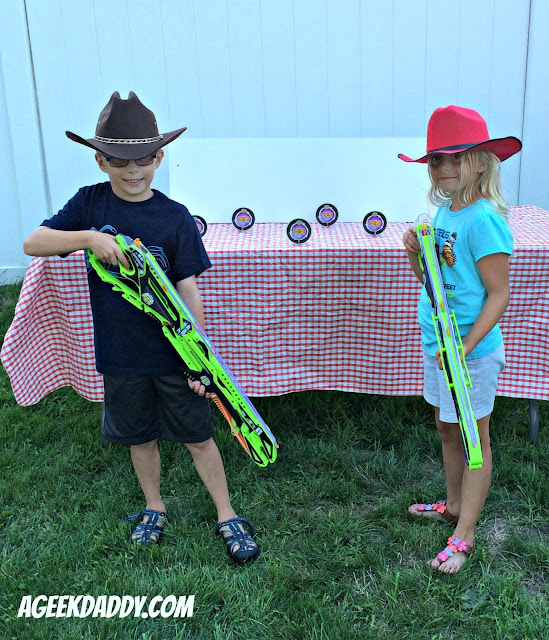 I started out with a strong score, but the ease of aiming and using the Precision RBS allowed my twins to provide some fierce competition. Nocking the launcher is a simple process and the mechanics of the Precision RBS combined with its ammunition of rubber bands that are sized just the right length to provide plenty of umpf! allow the HYPERION to hit targets from as far away as 50 feet. The HYPERION comes with rubber bands manufactured specifically for use with Precision RBS products that also include the mid-range CHIRON and the short range TALOS launcher. We found the HYPERION had more than enough Precision RBS ammo included with it for plenty of fun, but the long-range purple rubber bands, medium-range orange ones, and a yellow short-range variety can also be purchased separately if you do need to restock. A nice feature of the HYPERION is that it allows for multiple rubber bands to be nocked at the same time and released one by one with a rapid action trigger so loading the launcher doesn't become tedious. Either six long-range rubber bands or eight mid-range ones can be loaded at one time. Plus there are ammo storage cleats to hold rubber bands conveniently located on the frame of the HYPERION to allow the Precision RBS to be quickly reloaded. There is also a burst feature that allows for 14 short-ranged rubber bands to be loaded and spray out all at once. The flexibility of the HYPERION also includes the ability to separate the launcher to create a smaller TALOS Precision RBS launcher which can be held in one hand providing its own variety of play options. 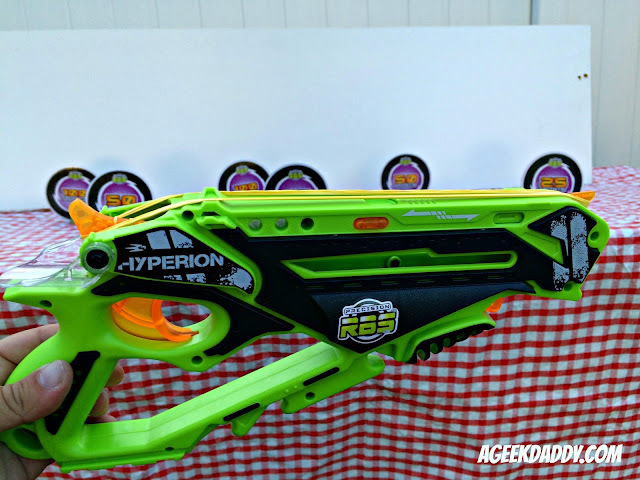 All the nice features on the HYPERION Precision RBS make it a real dandy of a toy to have fun playing with. 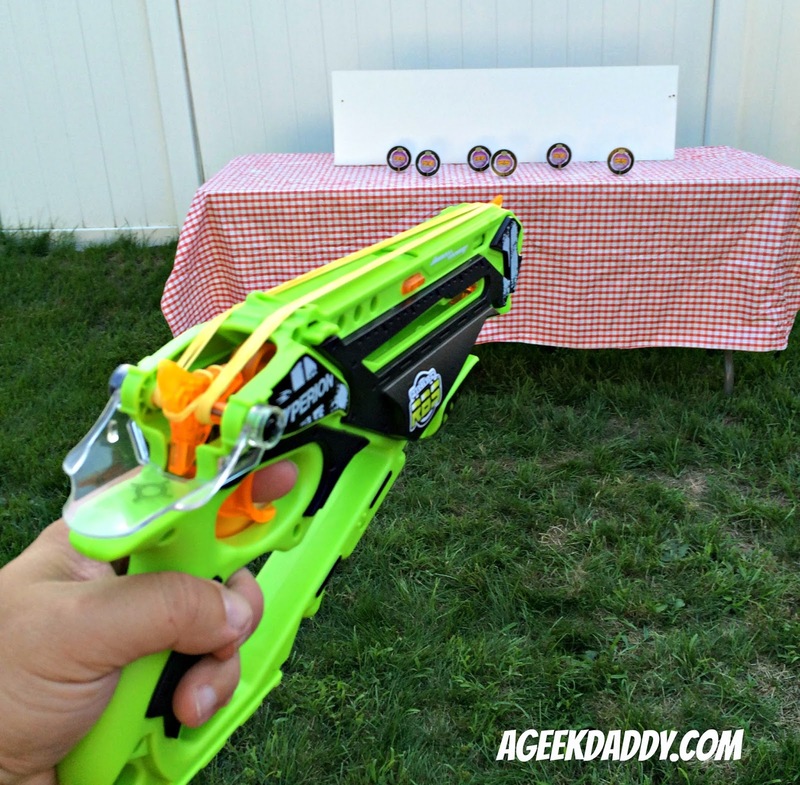 Do rubber bands have any advantages compared to foam darts and other projectile toys? Rubber bands are safe because they aren't rigid, so they collpase and distribute their energy along their entire length. Rubber bands are plentiful because of how easy they are to make and versatile they are in application. And finally, most importantly, rubber bands can use the Lariat and Magnus effects of physics to both float with a flat trajectory, and have far more accuracy than foam darts or ball shaped projectiles. Precision RBS is precisely optimized for the most accuracy and range you can possibly get from a rubber band. Any special tips or tricks you can share on how to use the Precision RBS? Precision RBS launchers are jam packed with lots of hidden features and to get the best performance, I recommend watching our tutorial videos. There is a special technique for launching bands with the MOST accuracy that everyone should learn! All our tips and tricks can be found at Precisionrbs.com and on our YouTube channel as well. What advice would you give to aspiring inventors like yourself on how to turn their ideas into real products like you did with the Precision RBS? The most important thing is showing your passion. People generally want to be excited, and your genuine passion for your ideas is your greatest asset. For critics, you always need your short list of reasons your product is not just better, but how it fits into the market. Make sure you anticipate every possible way your project can fail and have an answer for every one of them. What is one thing you would like everybody to know about the Precision RBS? Precision RBS was designed to be the safest, most accurate, highest performance, and affordable toy projectile launcher. 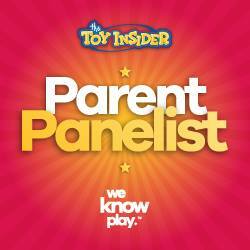 After a lifetime of play and research, we've finally made it real! So now you know a bit more about the Precision RBS, I'm sure you're still wondering who won our backyard target shooting competition. After a bit of practice, the twins became quite adept with the Precision RBS and were knocking down targets here and there. I was beginning to fear they might actually show up good old dad and beat me in this contest. Can you imagine the grief I'd get from them teasing me about their victory if that occurred?! While I was impressed by watching them knock down targets a bit of sweat emerged on my brow for every one they knocked down. In the end, A Geek Daddy emerged victorious winning by 300 points as I'd knocked down a few more of the higher point markers than they did. It was a slim margin of victory though and I'm going to have to watch Benjamin's online tutorials and get some practice in before the rematch my twins are demanding. In all seriousness though,we've had a very enjoyable time playing with the HYPERION Precision RBS and it has provided hours of fun. 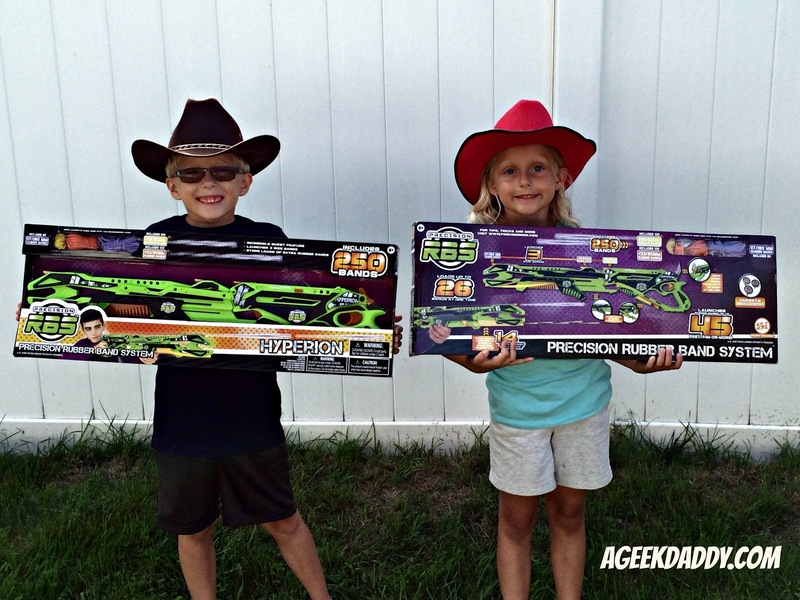 If you are looking for a unique toy that will maintain a child or teen's interest and promote outdoor play, pick up one of the three models of Precision RBS launchers from Super Impulse.